It’s eleven days until The Masters week begins! 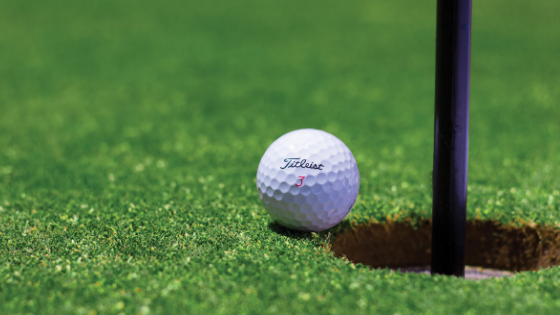 As a long-honored tradition and the first major championship of the year, The Masters golf tournament is the perfect opportunity to bring office employees or valued customers together in a celebration unlike any other. Here are a few of our tips for throwing the ideal Masters party. Nothing ties a great party together quite like a theme. Golf-themed decorations are a must. And we recommend any number of golf-themed beverages to immerse your guests in the experience. Golf-themed flower arrangements are always popular. Golf-inspired cocktails served in mock versions of the famous crystal goblets is another fun idea. Also, don’t forget to include table linens and napkins of the iconic Masters colors — green and white. Expect the viewing experience of the tournament itself to be a crucial component to the success of your event. We recommend renting any of our large variety of tents to provide your party with the required shade and weather protection. Consider setting up large-screen televisions to enjoy the tournament in its fullest capacity. With 4K coverage and ultra high definition (UHD), guests can focus on the golf and the beautiful scenery of Augusta National Golf Club. Tables and chairs provide both an easy set up and clean up while maintaining a comfortable atmosphere for your guests. Lastly, don’t be afraid to get your guests up and moving before the tournament begins. Easy golf-themed party games such as Putt Putt Bowling and Putter Pool require little setup. And, these games provide great amounts of fun. For food options, recreating the signature dishes of the egg salad or pimento cheese sandwich can be the perfect finishing touch to your event. And we all know how important your choice of food options can be. With Round One of The Masters (April 11th) just around the corner, there is no better time to begin planning the ultimate Masters party. For assistance planning your event or questions regarding our variety of tent and other rentals, contact us today!